If you don’t know where to start, close your eyes, turn in a circle, point then open your eyes – it doesn’t matter where you start as long as you do. Binders for papers – I have binders for Clients, Business Manual, Health, Personal Development, Finance, Menus and Recipes, Coach Training, and other interests. If you use clear page protectors you don’t even need to three hold punch. Just put the papers in the top of the page protectors. Goodbye box – If you aren’t quite ready to say goodbye to an item, put it in a box in a closet or basement and then in a month or two see if you can let it go. 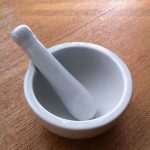 Start with the flat surfaces – If you want an easy place to start, clear off your tables, dressers and other flat surfaces. Keep a giveaway box in a closet – when the box is full take it to the charity of your choice. You can make more than one pass at an area – in my declutter calendar we go through most areas twice. Each time through you are able to get rid of more and it becomes easier to let things go. Schedule an hour or two jumpstart to declutter the obvious stuff and feel the difference right away. 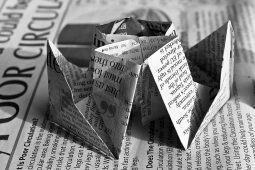 Clear out the old papers, magazines, broken pieces, mismatched socks and things without emotional attachment. Create zones in your space (i.e. bills, reading, mail). If a zone is overflowing, that could be a sign of a clutter problem. Use a timer – You can get a lot done in as little as 5 minutes. If you declutter for 15 min a day, that’s 91 hours by the end of the year! Invite a friend – it’s more fun with two, plus they have less attachment to your stuff and can let you know if you are hanging on to junk. Don’t try to organize before you declutter – then you will have to declutter all your organizers. Be honest with yourself – let go of projects you’ll never finish, clothes you’ll never wear, things you spent a lot of money on but don’t fit into your current life. Keep asking yourself why you are holding on to things. Getting to the emotions, can help you make peace with giving away your belongings. Out shelf or basket – during decluttering you will probably run across film to be developed, books to return, letters to mail. Put these in a little box on a shelf by the door so you remember them next time you go out. Start on time – Pick a declutter time and a back up time if you have to miss your declutter time. Then start on time instead of dawdling. Don’t waste time – fast is best. You will argue with yourself less. Don’t argue or blame if you are decluttering with your family. Find out what is important to them and see if you can find a solution that will make you all happy. 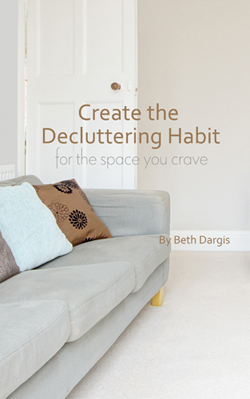 Evaluate and congratulate – When you have decluttered a space, step back and admire it. Congratulate yourself and your partners. 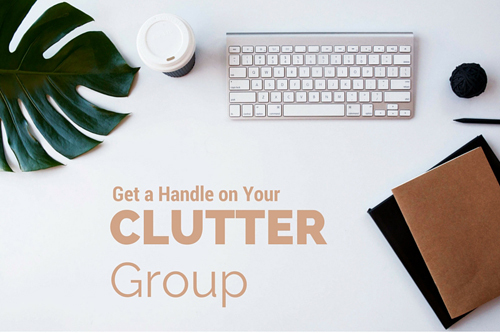 If you want fun decluttering with friends join the next Declutter Group. Help. Half of your post in in “wing ding” font or something. Should be all fixed for you Lisa. It looked fine in FireFox, but funny in Explorer. Good for you Peggy! And thanks for passing along the info. I love getting rid of clutter. It is amazing what you uncover about yourself in the process. 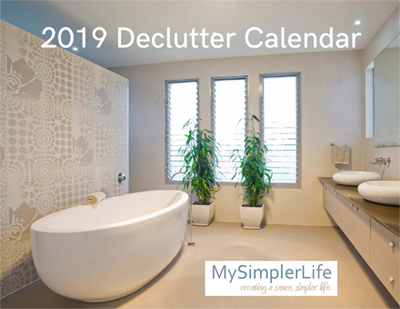 we are on day 3 of the 24 Things decluttering Challenge.. join us!